Short one day story which is the beginning of common life's journey of two soul mates. This is how I perceive a wedding day and I am trying to tell it like that trough photos. This way, that you would be able to replay the same story after several years again. Take a look at my images in my portfolio or blog. If you like them contact me and let's discuss the plan of your wedding so I could prepare the price offer. We can manage that on distance but if you live close to Prague it will be good if we meet up personally. 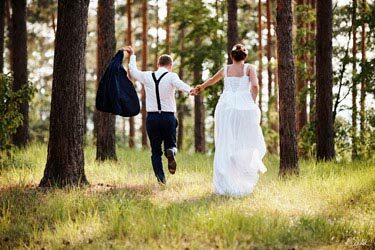 I'm destination wedding photographer, based in Prague, the Heart of Europe. I am photographing weddings as a story. Step by step, since the beginning till the end. Look at the illustration wedding and see how story can look like. I love spontaneous and real moments. Those about which wedding guests have no clue. I don't like packages with limited number of pictures. Those when the photograph says: “In this package the price includes 120 pictures”. I wouldn’t be able to tell the story of your wedding day the way I would like to if there would be a strictly set number of pictures. Weddings with 500 pictures are not extraordinary in my case. Do you have interest in my services? Although the digital age is upon us, keeping your precious wedding images on soft copy would be a great pity. 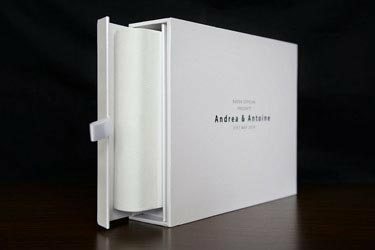 Well-crafted and artistically designed wedding albums are not only trendy worldwide but a must-have to most wedding couples. You will show your album to your children and grandchildren, the album will survive for generations. I recommend a personal consultation where you can not only meet me but also view the types of wedding albums available to display your photos. 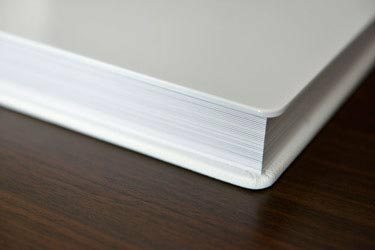 I will show you types of photo paper, available sizes and options relating to covers and finishes. Read more about wedding albums and take a look at album examples. Developing of wedding images - I don't print images. I rather developed them through classic chemical processing, not from inkjet or digital printer. 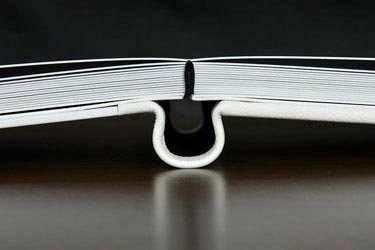 Perfect to retain the magic of old-school and classic photographs. Wall prints - decorate your flat or house with wall print reminding your big day. Are you looking for a unique way to create an unconventional interior decoration for your home? 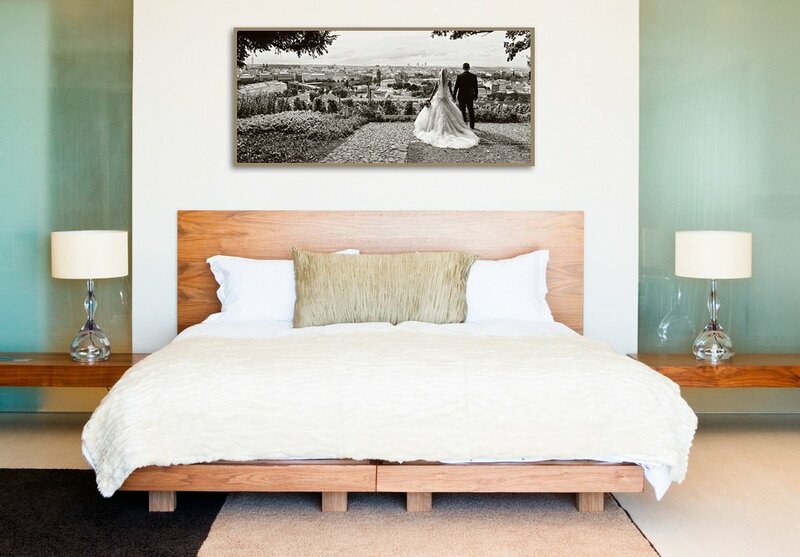 Your selected wedding images can also be present on enlarged prints, which come in the following options: photography in frame on luxurious laminated satin or photography on canvas. Wedding bridal make-up (Lucie Průžková) - Lucy has been devoted to bridal make-up for many years, having successfully won several national and international make-up artistry competitions. Based in Prague, she also offers her services throughout the country. In particular, she offers future brides waterproof and natural make-up that lasts throughout the entire wedding day. Apartments in Prague (Prague Stay) - Stylish accommodation without compromise in Prague or Brno during your wedding, not only for you, but also for your family or friends - I recommend you to check amazing Prague Stay offer. 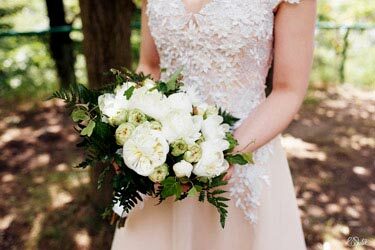 Wedding dresses (Salón Bliss) - Are you looking to rent or buy your wedding dress at a venue where you can select from a large variety of dresses and are taken care of throughout the process? If so, I would recommend you try Bliss Salon. 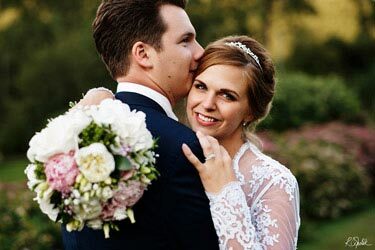 They offer bridal and formalwear for women, men and children, including many known name-brands such as Allure, Alfred Angelo, Alyce Designs, Badgley&Mishka, and Christian Dior. Wedding cakes (My Bakery) - Everyone dreams of a wedding cake that is not only beautiful, but also of the highest quality with no added preservatives. My Bakery can create exactly this kind of wedding cake in some of the most stylish and imaginative designs available. If you like traditional wedding fruit cakes, with My Bakery you can always rely on the use of fresh seasonal fruits. Band (The Shower) - If you enjoy musical interpretations of artists of the 50's and 60's, such as The Beatles, Rolling Stones, Elvis Presley, or Chuck Berry, or if you enjoy classic movies like Dirty Dancing, Pulp Fiction, etc., it would be worth considering The Shower as a live-band to set the scene for your wedding.